August is Membership Month for Rotary. Many District 6040 clubs have set goals for the new year, to help the achieve the district goal of 250. There are many ways to "be the Inspiration" of Rotary to attract good people. Active plan and goal for your club or establish and sponsor a Community Rotaract Club. Also, another way is to analyze a need in your community and start a Satellite club. That is exactly what the good Rotarians of St. Joe are doing. They have strategized and planned for an evening Satellite club to be sponsored by all the St. Joe Rotary clubs. They have met many times and are actively recruiting and entertaining potential Rotarians. The exciting part is they are collaborating and increasing membership and spreading the gift of Rotary. This inspiration is what Rotary and service are all about. The ability for potential members in the area to select another venue/location to join will surely attract more. We look forward to the results. Wait a minute....they did not stop there. 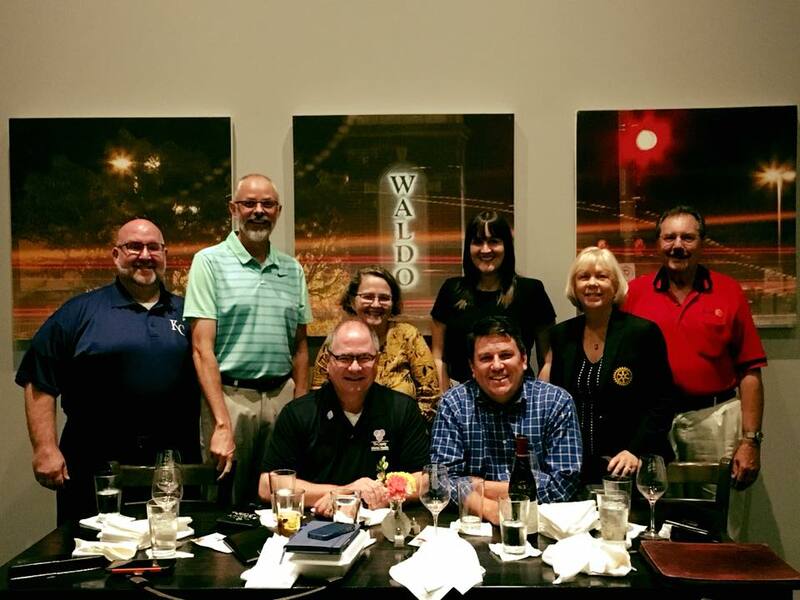 They reached out to the newest and fast growing Waldo-Brookside Club to hear their story of a meeting and dinner. Many ideas were shared over a meal, how awesome is that. This story will hopefully inspire you to reach out to other clubs to collaborate and gain ideas. There is also an easy way to get more ideas REAL training is just around the corner Saturday August 18th to hear clubs share their stories of success, it will be a meeting of collaboration, not a typical presentation. Checkout the membership information at the link below. Also, in addition to REAL, an invite will go out to hear an additional story from RI's Andrew Kerr on Monday August 20th at 530pm. It will be brief sharing from Andrew and then a chance to ask questions. Interactive and collaborative. So Membership Chairs look for the invite and be sure to accept or have someone join in your place.